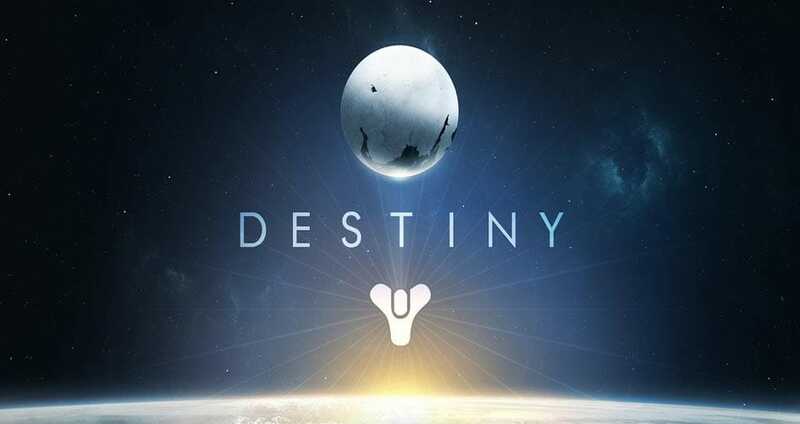 When the Destiny servers are not available you can discover issues in a number of ways, which can be during the sign-in process or with server connection errors. This page will highlight any Destiny server status issues thanks to reports being left by players of this role-playing FPS game. The latest game release is now at Destiny 2 and servers could be offline for just both 1 and 2 games or it could be a wider issue with Bungie as a whole. The most reported complaints relate to connections or the Destiny servers being down, and it’s not always going to be caused by hackers even though there’s been a lot of focus on hackers in the news recently. If you have problems today, then either leave details and your location below or complain through official channels with the contact information on this page. There’s also regular hot fixes performed through planned maintenance. If Destiny is down today, then reports will be found below. they not give refund in gold cards when garbage like that happened? I am sick and tired of Destiny 2 servers being down all the time. Can we not just play a game online without having any issues. We pay so much money for our games and PS4 etc its silly. Destiny 2 servers unavailable in the UK at the moment, and no announcement from Bungie as to why, no tweets or nothing. Typical UK getting screwed over again. Destiny 2 players will now know that there is a maintenance ongoing, when servers come back online players will have to accept update 1.0.1.3. Destiny and Destiny 2 are both down for a scheduled maintenance – apparently they will not be offline too long. I cannot get online with Destiny 2, are the servers down for maintenance? Oh dear, Xur is not returning until next Friday in Destiny 2. Been playing for hours since I bought Destiny 2 and now all of a sudden i get an error. Destiny 2 online is what I thought it would be – rubbish because too many people playing at once so servers get smashed. Destiny 2 is out today and I am sure the online gameplay is going to be as busy as you like. Problems will occur mark my words. Xur is actually to the right of hangar entrance in the tower. Xur said to be at jukebox…isn’t there. I am not connecting to the destiny server right now, all i get is network features are not working for this application. Is Destiny’s Xur getting lost or something, i have been trying to look for him for weeks now and can never find him. I go to where he is supposed to be and he is never there. i think the problem is the x on a box man try a play station cuz u get to play it at least and not mark it with an x on a box of trash. I keep getting a message that says the servers are not available. With no error code. It’s been happening all day, and I tried shutting down my Xbox one for 30 seconds and it didn’t work. I am supposed to raid tonight. I would really like to know how I can fix this problem. I live in Alaska but my friends in Minnesota are online right now with no problems. Can’t join 3 days … and it’s flustered about that anybody got same problem? My son has been trying to load Destiny on his xbox 1s. All he gets is ‘unable to download configuration files from Bungie servers, Error Code turtle. We have turned off everything, restarted console etc etc to no avail. He can play other games successfully! Any suggestions please! I can’t join my friend who’s downstairs and I’m upstairs. The connection is fine but it says you cannot join target player, does anyone know what’s wrong? Destiny saying unable to connect to psn please check your network connection and psn status yet when I test internet connection their is no problems. I have psn and connection passed on test and all psn services are currently active?? Guess what, got server problems message. If bungie thinks I will but destiny 2, forget it. Bungie now you have to prove it to me that the next destiny will be better. I am going back to Halo firefight on my xbox1. No problems there. Why don’t u find something else to do instead of trolling? Its a f ing free country u have no right to tell me what I can do and cant do! Do one!!!! I take day off work because I can I own my own business I ain’t no kid now do one! I have right to be pissed I have paid over 150 on destiny from the beginning and the problems just get worse! Glad really cos this expansion has ended destiny for me! Was getting bored of how crap the game was but thought maybe this new expansion will be ok. How wrong was I lol. Least i don’t need to stress about any more releases from destiny as they will not get another penny! They ripped me off from the beginning. Also with the refer a friend and now with this expansion! Will they give me the days wage I have lost to play this yet not getting to play? I don’t want the game any more just a refund. I have lost a days work for this crap and been constantly disconnected and now over 300k in cue! I want my money back and shove this dlc up where sun don’t shine! Thing is I have wired connection direct to router! Router sits 10cm away from ps4 and I am getting disconnected! I keep getting disconnected and the que position gets higher! Taking the f ing p! Does anyone know how to get a refund! I don’t even want the game now! I hate how there is nothing u can do! I have been here since beginning! I have paid over 150 upto now and nowt I can do but get treated like a piece of crap! Its done it again disconnected so I will be over 200k in the que now! I want a refund! I don’t even want to play the game now! Why when I made sure inwas up early and online. Now I have to wait. Oh and now its saying unavailable again do I have lost that position in the que! Yes was on playing Heroic strikes – left game around 1030 GMT – all Heroic strikes gone from destination menu – now ROI Icons in place. server updates and patches downloaded. Belived ROI rollout is 1800 GMT today. Cant believe I cant play cos destiny is at capacity and I have to wait for 81 thousand players to get on first! U thought they could make it look like that so they don’t get the stick for f ing up lol. Not my problem they should anticipate that ! Bit like buying loo roll when u ain’t got a bum! Wonder of will make the headlines! DESTINY FLOPS AGAIN! Gamers outraged lol. They do it cos they can and no one will do anything about it! Not like we will stop buying the game! So they ain’t bothered. Doubt that cos the people that attack are prob waiting for the expansion lol. I have took a day off work for this crap! Total p take!!!! Did anyone think it could be a ddos attack? Destiny spelt backwards don’t make sence bit like paying 25 electrical beans to not be able to play a game! Hopefully people will see sense and f destiny off after this expansion! The more we tolerate it and purchase expansions nothing will change! U need to hit them where it hurts ie the wallet! Other releases like fifa dont have these issues!